As I noted in my last post, the fashions were fab at the Oscars and I picked my top eight best dressed. But I wanted to point out a trend that seems to be upcoming in evening wear. 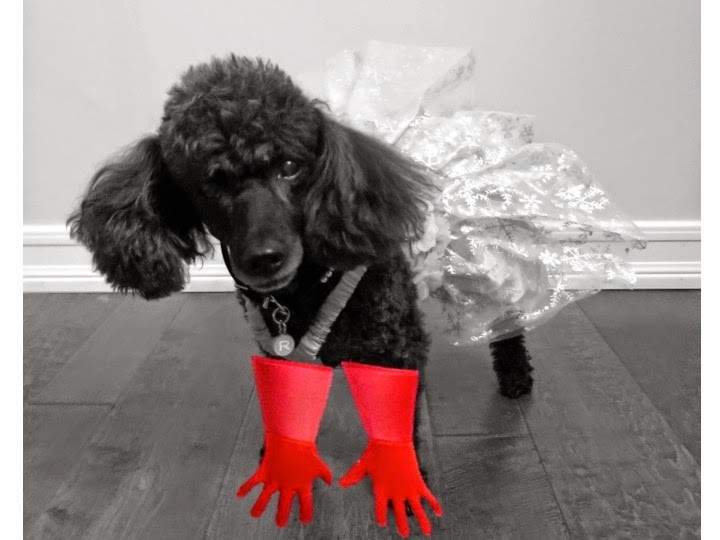 First Amal Clooney wore fab white gloves, and now Lady Gaga came out in red gloves. So I imagined if I were to wear my fancy dress again, should I incorporate the trend? I was a little disappointed in the gowns this year Rosy. I didn't see anything head turning until I saw you in your Pink frock ! "And the award goes to......Rosy Rue for best costume design" Way to go Rosy. Oh thank you so much Bosco ! You are always just too sweet ! BearHUGs & RosyPoodleKisses! I agree with bigboybosco! I did not like the red gloves. But Lady GaGa looked like a princess when she sang. I like her so much better without meat dresses etc. Mom says all that stuff was so distracting and didn't let her music shine. Lady GaGa did look like a Princess! She broke through the entertainment world with her wild couture - And it makes for such great bloggiing! she can look and be whomever she wants as far as Im concerned, just don't change her fab voice ! BearHUGs & RosyPoodleKisses! She sure did make herself stand out, that's for sure. She said she's normal on the inside and her fiance is normal on the outside. I thought that was cute. :) Mom says she always liked her music but didn't realize she had that she had a voice with that much range. Impressive! Squeeee we wuv you in Gaga gloves. Dey a keeper! She is a gem and her vocal range is impressive but she needs you and annie to b backup dancers. Please do call her people. Huggin u.